We explain why interior design isn’t all fluffy cushions and pretty accessories (although we like these too), and share some of our favourite techniques for giving your home the real wow factor. 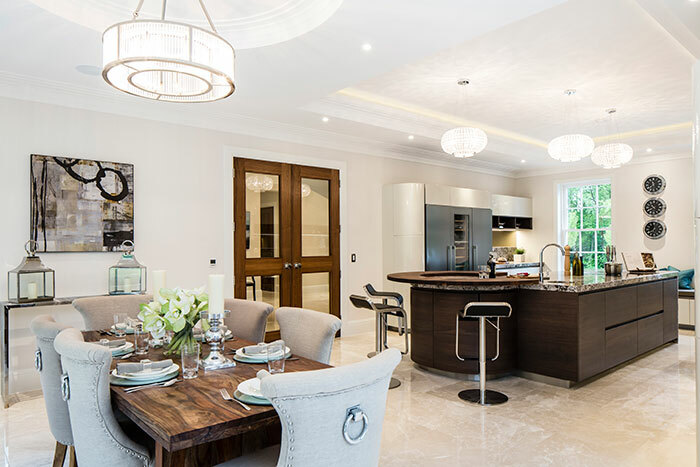 Whether we’re working on one of our new developments or a custom build for one of our private clients, it is so important that careful consideration is given to every element of the home’s interior – from space planning and electrical layouts to having an input into the choice of architraves and skirting. It’s not just about getting all of those finishing touches right (important as they are) but it’s about delivering a room/different spaces that successfully combine design with functionality. When we are working on the interior design for a private client, we want to ensure that each room reflects the personality and the lifestyle of its individual owners and that means adding in personal touches that will enable them to really enjoy each room. Ultimately, we are always striving to ensure that every room within the house is a space they love, which they want to spend time in. Be bold. In your less formal rooms (i.e. the kitchen/living area), be bold with colours and patterns. Make it a fun room that everyone enjoys spending time in. Navy blues and jade greens are popular choices for 2017. Accessorise. Bring in pops of colours with soft furnishings, rugs and feature walls, creating an eclectic look using decorative accessories and art. We have all our frames made to suit the individual property and its specific interior scheme, enabling us to ensure that each mirror, photo or piece of artwork is perfectly showcased. Look for multifunctional furniture. Coffee tables with built in drawers and storage boxes are a great way to combine practicality with style, particularly if you’re short on space. Go for compact pieces, that won’t overwhelm a small room. Ensure it’s hardwearing. When selecting fabrics, from sofa coverings to cushions and rugs, ensure that they not only look beautiful but are hardwearing too, especially in those rooms which are going to get a lot of daily use. Mix metallics. Be brave when introducing metallics into a scheme. Don’t just opt for chrome! Other metals such as nickel and copper are becoming increasingly popular, bringing a warmer tone to a room. Incorporate lots of lighting. From spotlights to pendants, wall lights to floor lights, carefully chosen lighting doesn’t just create ambience but can also be a great way to designate use of space within an open plan living area. If you would be interested in finding out more about the broader private commissions package we offer, take a look at our Private Commissions section or get in touch with one of our team.